Book A Reading With Sherry . . .
To bring Sherry Lord to your home or business as a Guest Reader, please contact her directly at (941) 961-2731. This is a one-on-one channeling session with Sherry that can be done over the phone or over Skype. Once you book a session, please contact Sherry directly at (941) 961-2731 to schedule your appointment. Book Sherry Internationally . . .
Book and host a Liquid Light healing modality of higher frequencies of Light and Sound energies in your area! In 2005 Sherry was shown three levels of these new higher frequencies that are now entering. Learn how to harness these energy's and receive them for yourself, for they are available to you as well. You will also learn in these workshops how to work with these higher frequencies and to share them with others. What you learn with Sherry will enhance all other modalities that you currently practice and take you beyond what you know. Workshops and conferences will include Sherry's most popular Angel Connection and Aura Classes. 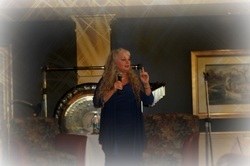 As a Keynote Speaker, Sherry has been speaking at many expos and locations for the last 5 years professionally on many topics to help people to empower themselves and to connect with their Angels and Guides directly. To book a workshop or conference in your area, please contact via Email: sherry-lord@hotmail.com or Phone: (941) 961-2731. Experience the joy-filled love of the non-physical collective called Namara~Empowerment, Freedom, New Channeling, Teachings, Group Healing~ These sessions will be interactive! You will also have the opportunity to sit in the "Illumination seat" and Namara will answer one question for each person as time allows. You will have an amazing, fun & enlightening experience. Please note: Namara is here to help you remember who you are, and to love and find peace in a a world that is constancy changing and evolving. Experience the joy-filled love of the non-physical collective called Namara~Empowerment, Freedom, New Channeling, Teachings, Group Healing~ These sessions will be interactive! You will also have the opportunity to sit in the "Illumination seat" and Namara will answer one question for each person as time allows. You will have an amazing, fun & enlightening experience. Please note: Namara is here to help you remember who you are, and to love and find peace in a world that is constancy changing and evolving. Book Sherry For Your Wedding Day . . .
Have Sherry perform at your special day and ceremony on your Wedding day! 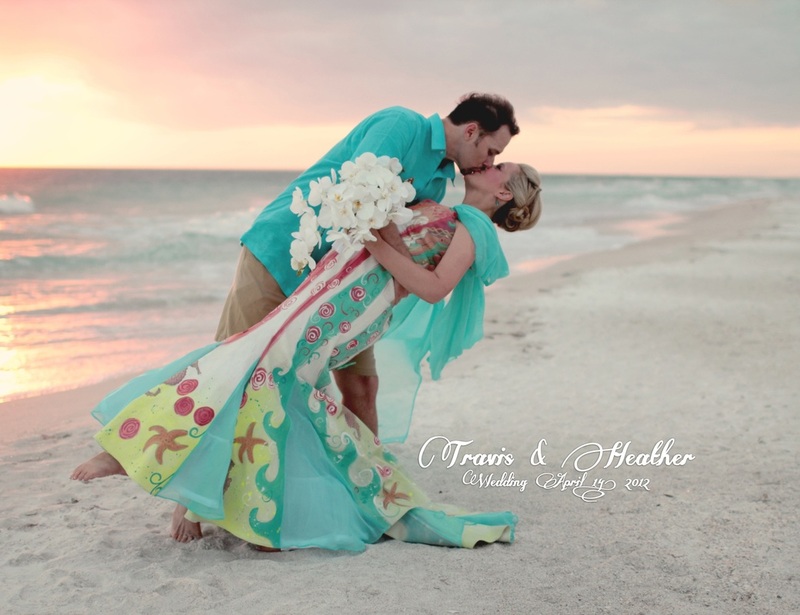 Sherry has been performing weddings for over 10 years. Every wedding is unique and special and detailed to the couple who are being married. 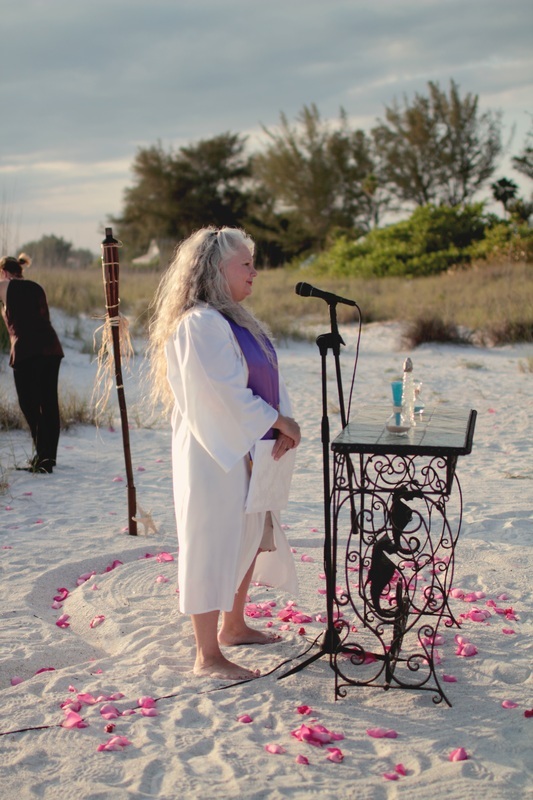 Sherry is ordained through the Universal Brotherhood Movement which includes all religion and spirituality paths. Please call Sherry directly at (941) 961-2731 for further information on pricing and availability.